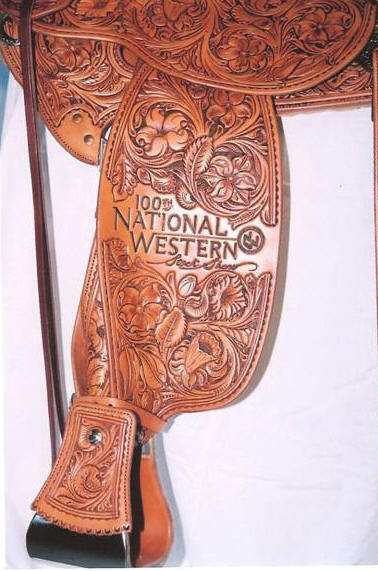 A saddle built for the Denver National Western’s 100th Anniversary, it was auctioned off at a benefit auction to benefit the National Western Scholarship program in September, 2005. 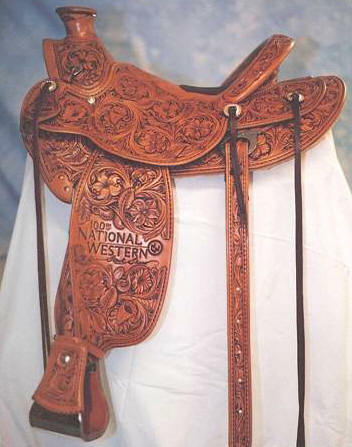 Features: Round skirts, inlaid sharkskin seat, flat plate rigging, 7/8 position, Cheyenne Roll cantle binding, 5” stirrups. The carving is with all original flowers drawn by Bob Klenda and accented by the use of antique leather finish.